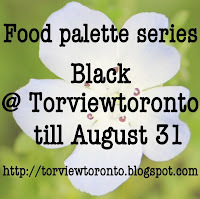 If you are like me - love everything that has poppy seeds in it, then this is definitely a recipe to try. These blue, beautiful poppy seeds are bursting with bold, nutty flavor and adding both flavor and texture to the bread. It is nicely blend with red dried cranberries. For this basic bread recipe, kindly refer to my previous post titled "Yam Paste Swirl Bun", substitute the yam paste with 1/2 cup of dried cranberries and sprinkle the bread top with poppy seed. About the twisted shape, just divide the dough into 3, braid it together and bake. Enjoy! This looks lovely. Unfortunately, we can't get poppy seeds here in Singapore. 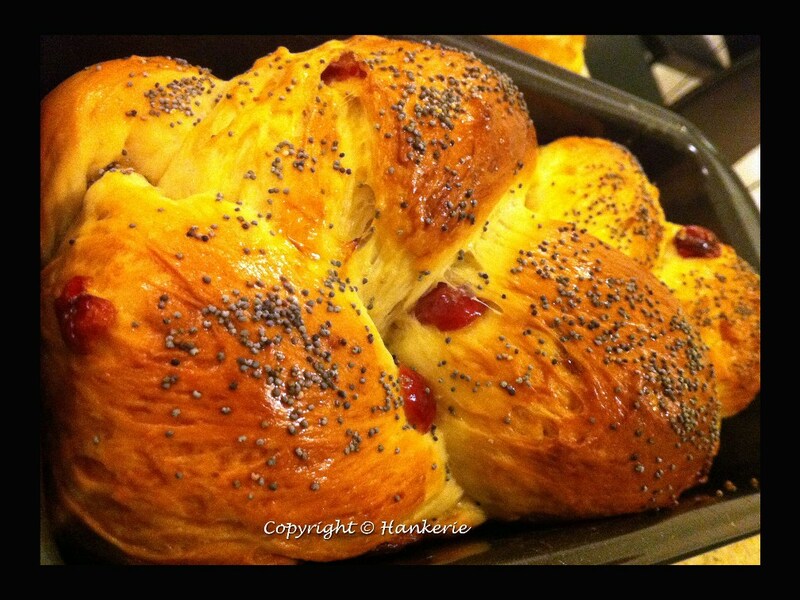 Han Ker, I love how you twist the loaf and the colour is perfect with cranberries and poppy seed in it. @ Extra Virgin Chef: Hmm..Why can't get poppy seed in Singapore? Being banned? @ Ann: Thanks. I always like those natural colour combination. @Mary: What a lovely note from you! Thanks for visiting my blog. May I know how do you come across my blog? I hope you enjoy my blog in the future too. Glad knowing you too. Wow a lovely loaf of bread. Looks delicious!